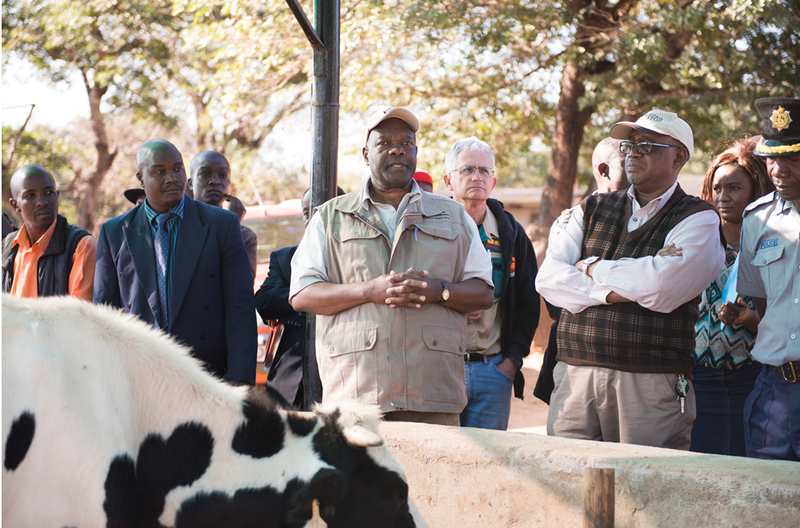 The Deputy Minister of Agriculture, Mechanisation and Irrigation Development, (MAMID) Honourable Paddy Zhanda and a delegation of government officials visited Africa University Mutare Campus on 5 June 2017 for an assessment of the first phase of the Dairy Revitalisation Programme which is currently underway. The purpose of the field visit was for the Deputy Minister to solicit feedback from the Africa University (AU) Department of Agriculture and Natural Sciences and the University Farm on their hands on knowledge and experience with the programme, to establish best practises and address challenges encountered for more effective implementation of the second phase of the programme. 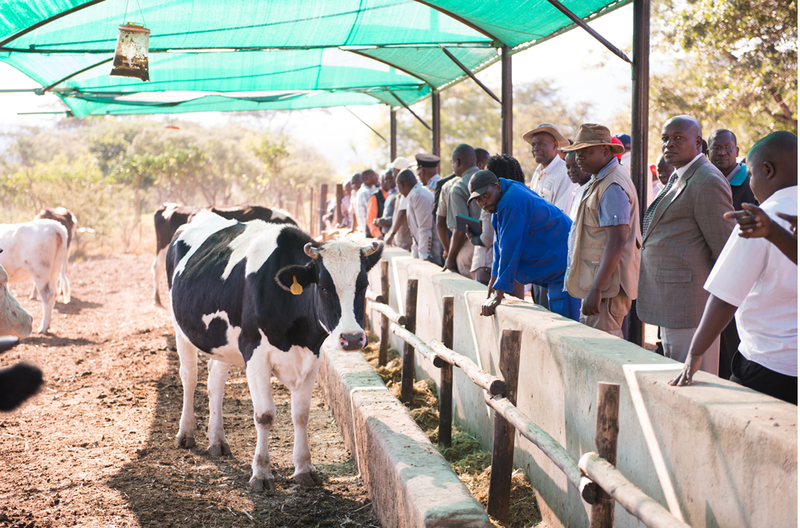 The Dairy Revitalisation Programme is being spear headed by the Dairy Revitalisation Committee of the MAMID and aims to revive Zimbabwe’s Dairy Industry to achieve a set benchmark of milk production of 110 million litres by year 2020. At present, the country’s milk production stands at an estimated 54 million litres per year vis à vis the national annual requirement of 120 million litres. Honourable Zhanda reiterated on the importance of the programme which he hopes will culminate in a solid partnership between Government and institutions of higher learning in an effort to capitalise on new and sound research, skills training and improved milk productivity to impact the country’s economy and boost self-sufficiency. “We have aligned our teaching and learning goals with the business objectives of our economic sector to meet the business interests of the overall economy not only for Zimbabwe, but for emerging economies throughout Africa. We are translating research into impact” he added. The Africa University dairy section received 15 heifers under the programme and now has a total dairy herd of 47. Effectively, this has seen the dairy section producing an average of 235 litres of milk daily from about a 100 litres – to service the needs of the institution and of local high value market. In the long term, the unit targets to boost milk production to an average of 1 200 litres per day. The University’s dairy establishment, “The Dream Dairy” is an advanced value chain establishment which produces flavoured yoghurt, fresh and sour milk. Africa University is proud to actively participate in government developmental initiatives to revamp the country’s economy. The University prioritises matters of national food security as evidenced by its participation in the Command Agriculture scheme in the 2016 – 2017 farming season. At present, the institution is focusing on wheat production under the same scheme.